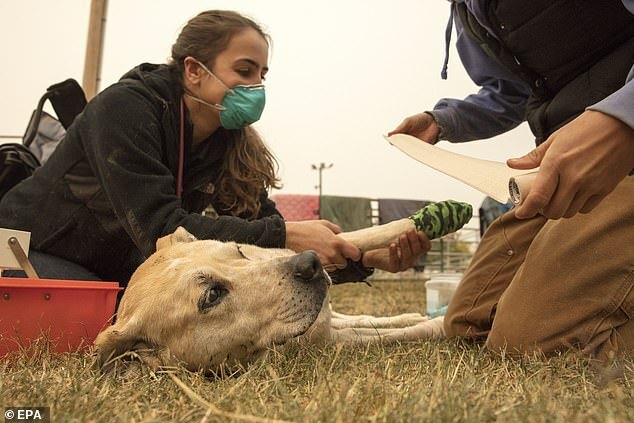 Hundreds of animals have perished in the deadly wildfires ravaging the state of California. 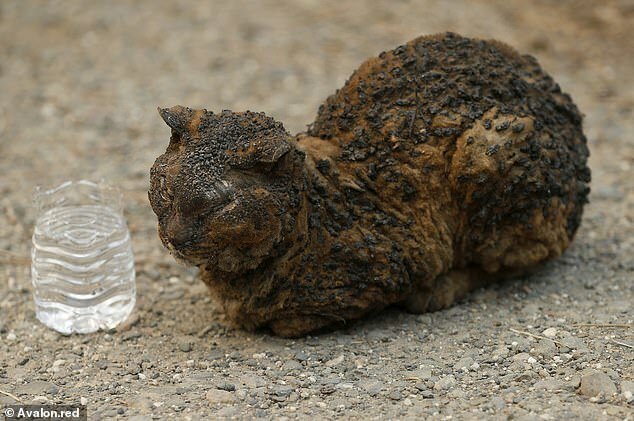 Others have managed to escape or have been rescued, but the blazes have had a devastating impact on wildlife. 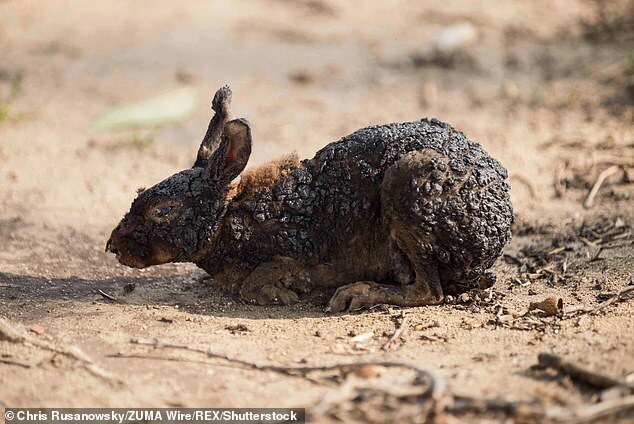 Heartbreaking images show a cat with its eyes burned shut, a bunny rabbit which has lost its ears, and rescue workers desperately ferrying animals from the edge of the flames across the state. 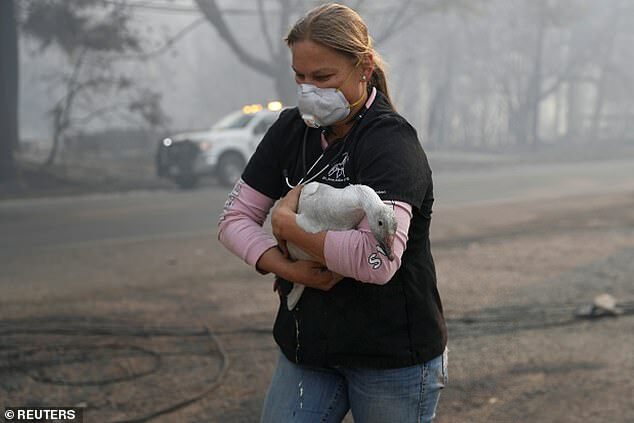 The Camp Fire devastating Northern California, and the Woolsey Fire, which is currently raging near Malibu in the south, have forced residents to flee their homes, and have left many unable to also save their beloved pets. As the confirmed human death toll of the Camp Fire reached 42 on Tuesday morning, with the flames having levelled more than 7,100 homes and other buildings, it now ranks as the deadliest and most destructive wildfire on record in California. 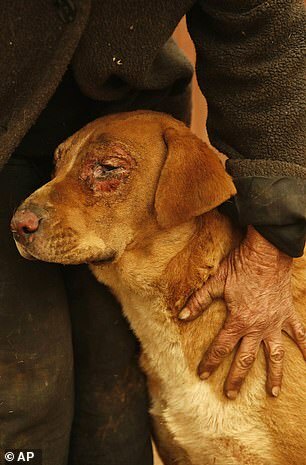 It is not known how many animals - wild or pets - have been killed or injured in the wildfires, which have been raging since Thursday, but it is thought to be at least several thousand. 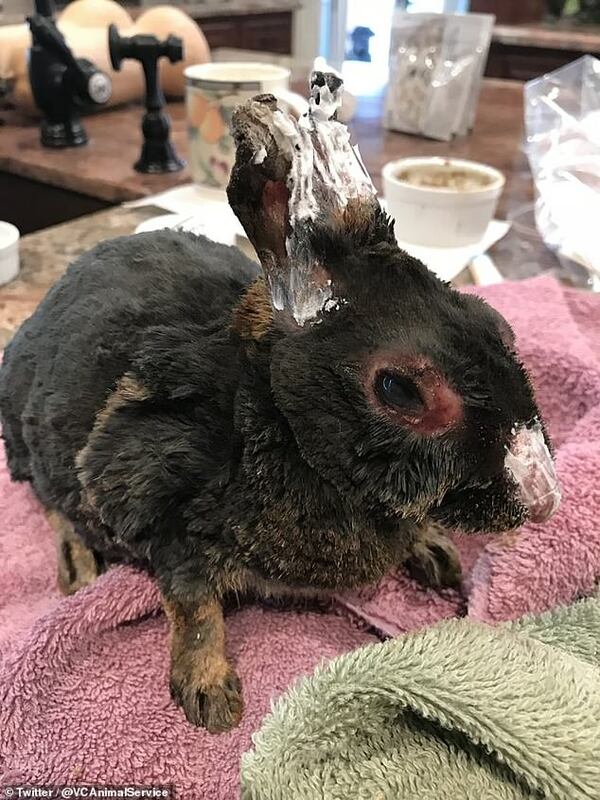 Rescuers hoped to be able to find treatment for the badly burned cat found on a residential street in Paradise over the weekend, as volunteers and other activists banded together to save as many animals as they could. 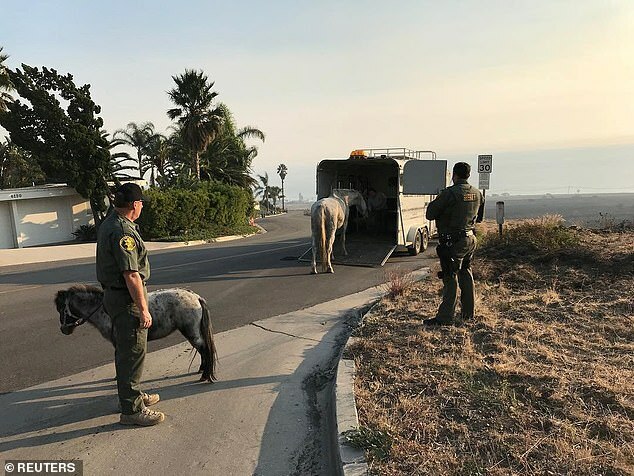 Urgent evacuation orders have seen many animals abandoned, including horses and other farm animals, with residents potentially underestimating how damaging the fire would become. 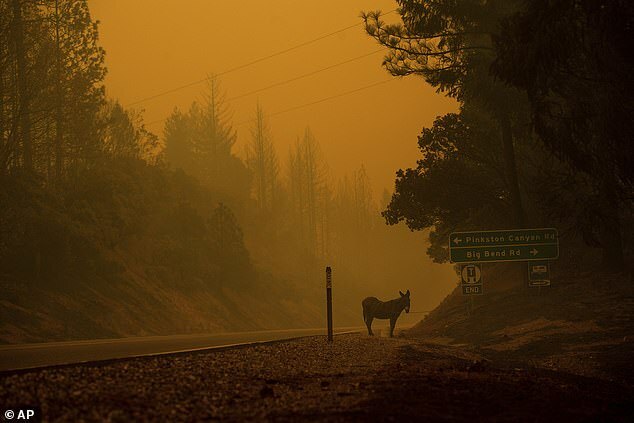 As well as pets, Northern California area is home to a myriad of wild animals, including several types of deer, black bears, bobcats, elks and cougars, and the Butte County area where Camp Fire burns hosts several wildlife sanctuaries. Other common forest creatures are coyotes, raccoons, squirrels, skunks and foxes as well as a number of birds and snakes. 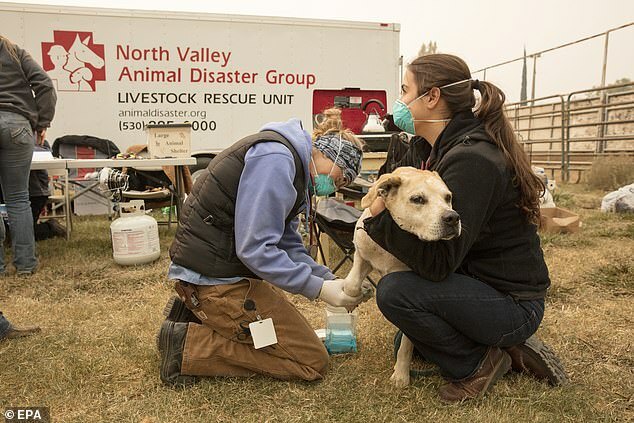 A makeshift animal clinic has been set up in the Butte County Fair Grounds, 30 miles south of Paradise, at the weekend, where emergency service veterinarians tended to dogs with burned paws and fur. Goats and horses have also found temporary shelter at the Fair Grounds as the Camp Fire continues to burn through the region, fueled by high winds in Butte County. In Big Bend, Fire Captain Steve Millosovich carried a cage full of cats that were found abandoned in the road after the Camp Fire. 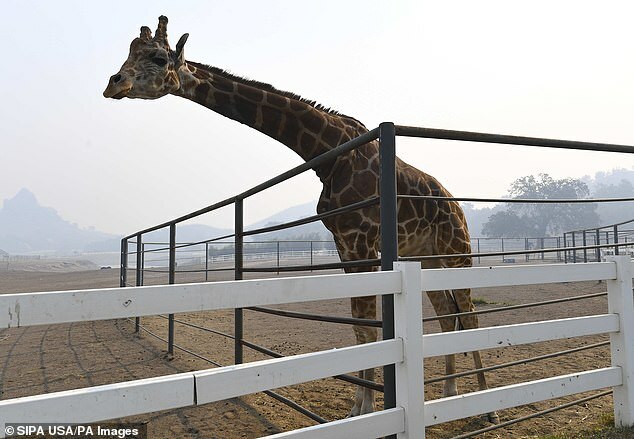 Elsewhere, celebrities including Khloe Kardashian and Ariel Winter slammed a wine estate in Malibu for allegedly abandoning a giraffe. 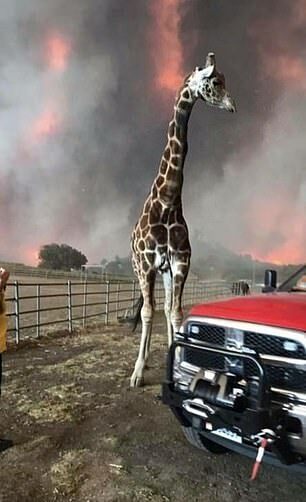 Malibu Wines which owns the Saddlerock Ranch where some exotic animals are kept, had reportedly abandoned Stanley the giraffe to his fate. 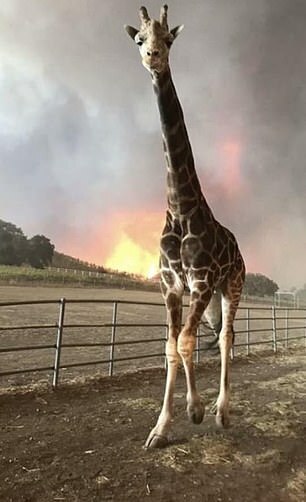 Pictures emerging from Stanley's enclosure show him standing near a fence just meters away from scorched earth caused by the devastating fires and flames in the background. 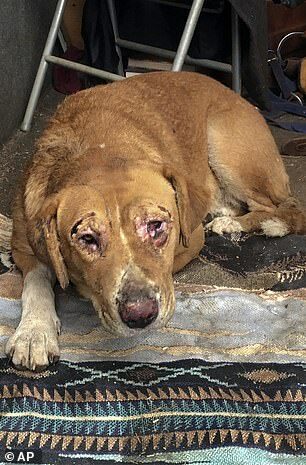 Saddlerock Ranch claimed in a statement last week that the animals were being evacuated, however this has been disputed by activists, including actress Whitney Cummings who visited the site on Saturday and found Stanley in his pen. The ranch said all animals on the ranch survived, but several buildings on the property we destroyed or damaged by the fire.